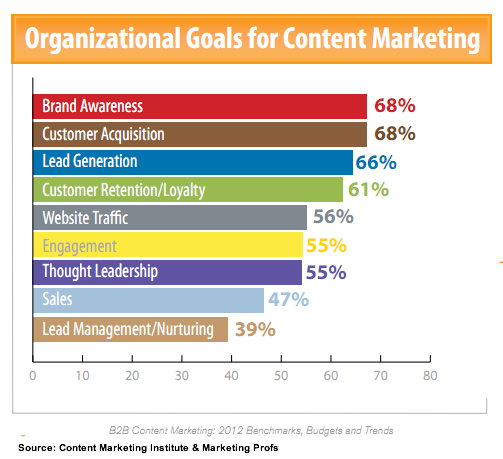 Content marketing accounts for a growing portion of B2B marketers’ 2012 plans. 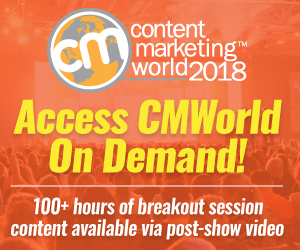 Used by 90% of B2B marketers, more than one out every four marketing dollars goes to content marketing and 60% of marketers plan to increase their content marketing budget next year according to Content Marketing Institute and MarketingProfs research. Given content marketing’s cost effectiveness and targetability, this isn’t surprising. For marketers, the challenge is proving their case. Brand awareness, customer acquisition and lead generation, and customer retention/loyalty are marketers’ top three content marketing goals. This makes sense because marketers need to make their organization known, get new prospects and customers, and keep current customers purchasing. Interestingly, over 50% of those B2B marketers surveyed focused on driving web traffic and engagement, tactics aimed at building a house file of prospects that may or may not be qualified. As any good marketer knows, it’s critical to determine your marketing metrics after developing your goals to ensure that they’re aligned and that you have promotional codes and appropriate tracking in place. Otherwise, you’ll find yourself using whatever you’re able to track after the fact. Based on the Content Marketing Institute and Marketing Profs research, B2B marketers tracked web traffic, sales lead quality, direct sales, sales lead quantity, qualitative customer feedback, SEO rankings and inbound links. 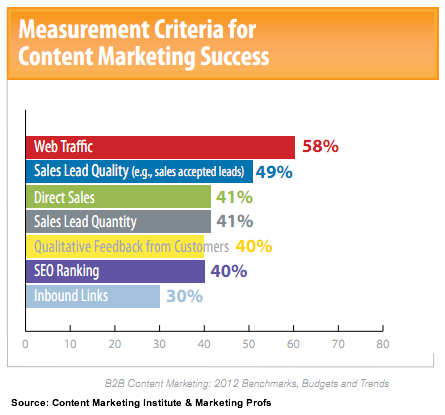 (Here’s a full chart of content marketing metrics and how to track them.) While these metrics contribute to a better understanding of content marketing performance, they don’t necessarily tell whether the marketing goals were achieved. For example, while web traffic is easy to track and gives an indicator of your content’s ability to attract attention, it doesn’t necessarily convert to leads or sales. Despite brand awareness topping the list of content marketing goals, branding metrics are noticeably missing. These measures tend to be soft and qualitative, requiring surveys and outside support that translates to increased marketing expense. To help you track your content marketing better, here are the major goals that should be integrated with your overall business objectives. Further, to ensure that you can track your results, it’s important to have a contextually relevant calls-to-action and unique promotional tracking codes. While content marketing continues to be an expanding part of the B2B marketers’ budget, it should have goals that are aligned with your corporate objectives. Further, ensure that you can track the appropriate measures so that you’re able to prove your content marketing is effective. 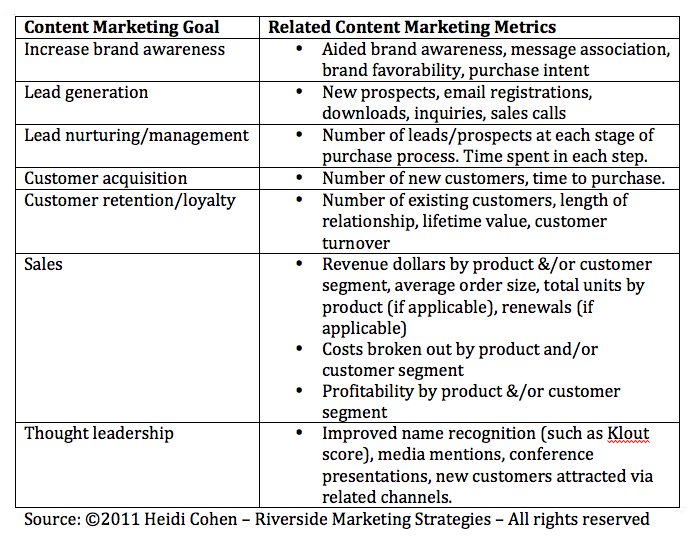 Do you have any other marketing goals that you’d add to this list of content marketing goals and related metrics? If so, please include your input in the comment section below. 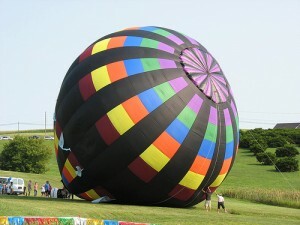 Here are some other related articles of interest. 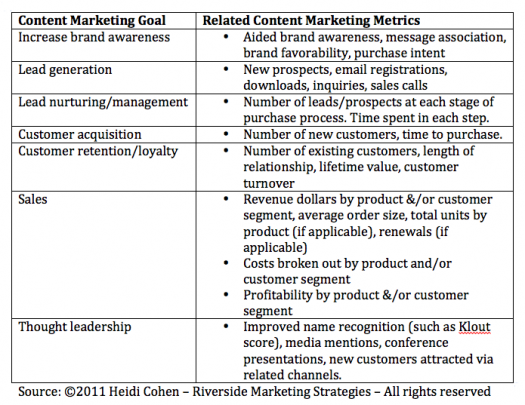 Tags Chart, content marketing goals, Content marketing metrics, Research. Bookmark the permalink. 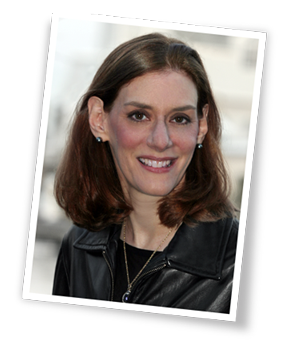 It’s very true that goals and metrics need to be aligned in content marketing. If you go in without a strategy and a way to tell whether you’re winning or losing you are very unlikely to be successful.